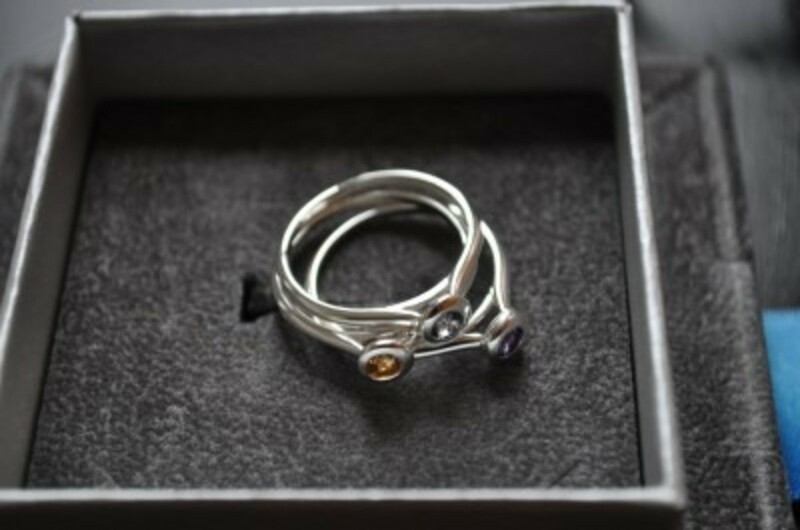 These particular rings I reviewed had an amethyst (February), aquamarine (March) and citrine (November) birthstones. It arrived yesterday in a pretty white box with a gorgeous blue ribbon. Below, are pictures I took of the stackable rings with different perspectives. I wore these stackable rings for a day. When I put them on my ring finger, I realized they were too big so I put them on my middle finger and fit perfectly. These rings are available in sizes 5, 6, 7, and 8. 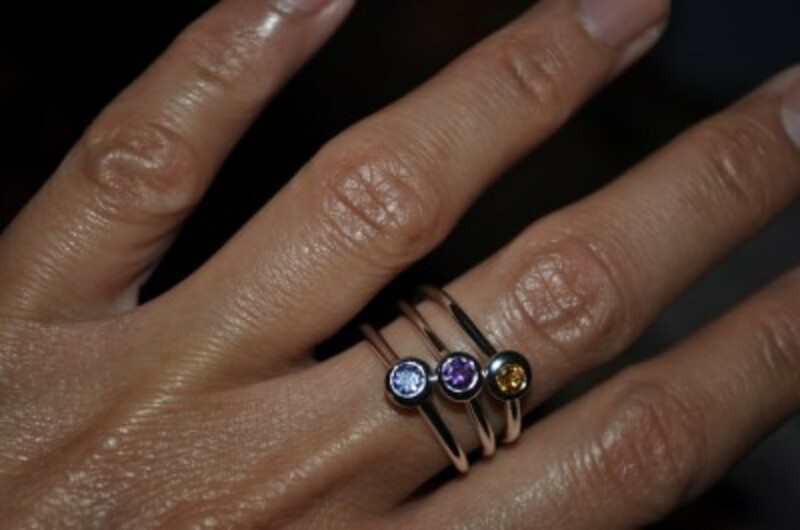 I’ve had stackable rings before but I really liked these rings from Luna & Stella. There were many reasons why I liked Luna & Stella’s rings. 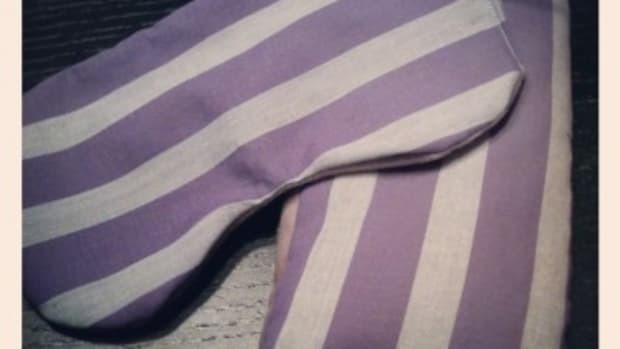 One, the quality of the rings itself. The weight of the rings are heavier than the ones that I bought several years ago. 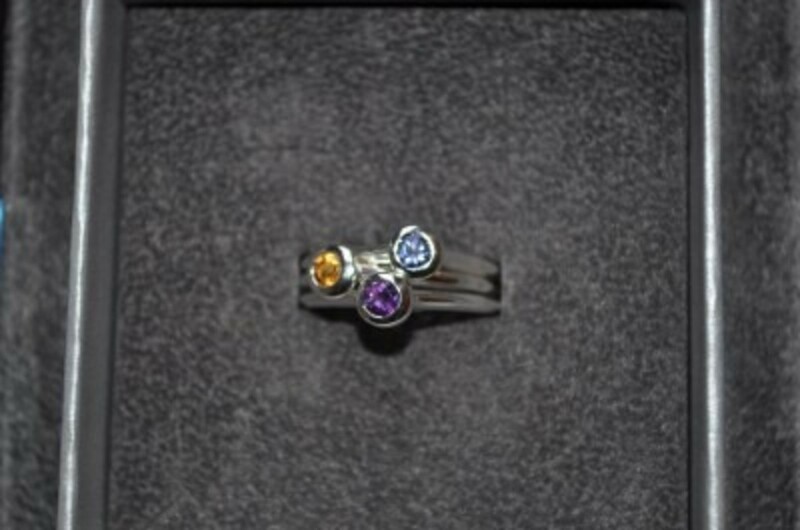 Second, the birthstones are clear and are inside a perfect circle. Third, the rings look good on my finger. Here is a picture of the rings on me. The rings fit perfectly on my middle finger. It’s not too tight or too loose. I wore these rings for a day to see how they would fit in my daily life in New York City. My favorite piece of jewelry are rings so it is not a surprise at all that throughout the day, I kept looking at the rings on my finger and admiring them. They are a stunning piece of jewelry. I really liked the stackable rings. 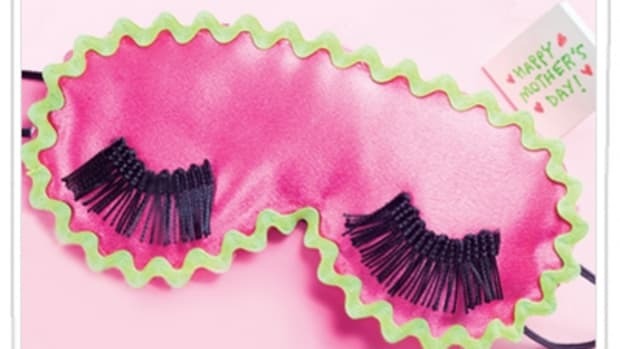 They are pretty, fashionable, and colorful. If you have not bought your mother a Mother’s Day present, the Luna and Stella stackable rings come in silver and gold vermeil and are not too pricey. See below for the prices. 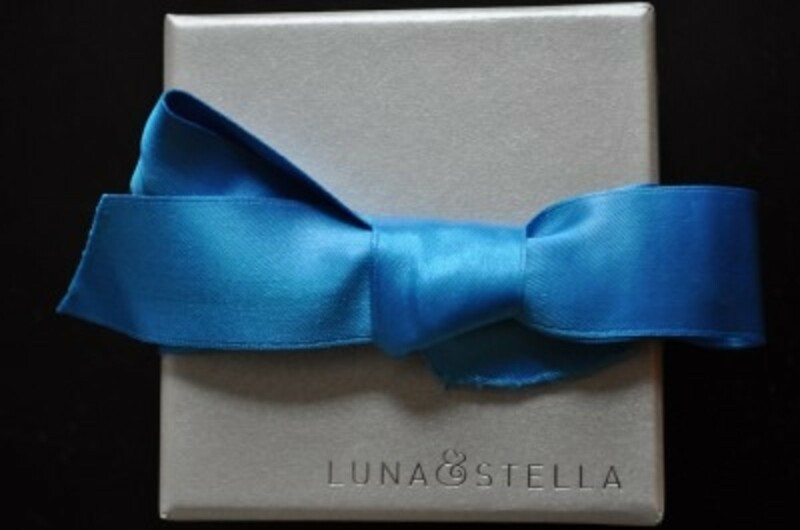 Thank you Luna & Stella for allowing me to review your gorgeous rings. There are more information about the Luna and Stella rings below and information on where to buy them. 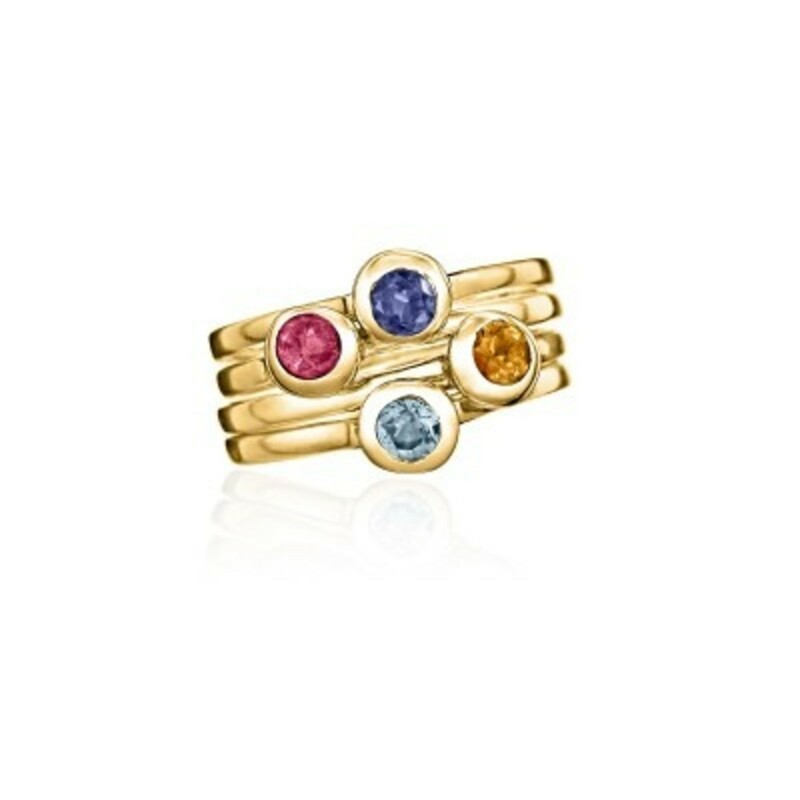 Our Crescent Moon Stacking Birthstone Rings are designed to be mixed, matched and added to over time. 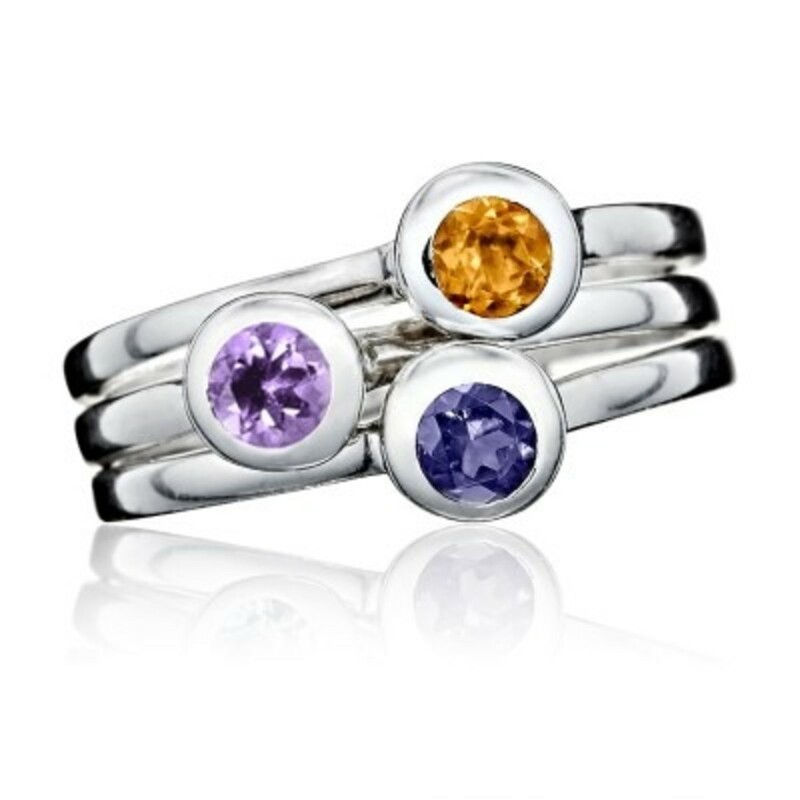 Each sterling silver ring holds a genuine birthstone cradled in crescent-moon shaped bezel. Like our necklaces, the birthstones can represent children, grandchildren, family members or cherished friends, making them a great gift to celebrate Mother’s Day, a birthday, new baby, anniversary, or wedding. ***DISCLAIMER: These rings are on loan from Luna & Stella. I’d like to thank Luna & Stella for loaning me these stackable rings in order to review them.